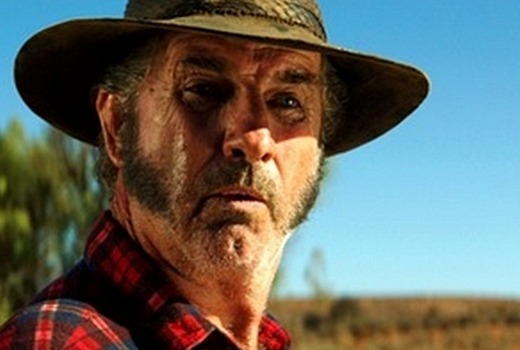 John Jarratt will reprise his role as the terrifying Mick Taylor in Stan’s spin-off series, Wolf Creek, which goes into production in South Australia today. The six part psychological thriller, to be produced by Screentime, is the biggest investment in local drama by a Streaming service. Creator Greg McLean will return to Australia to direct, along with Tony Tilse. Lucy Fry (Vampire Academy, Mako: Island of Secrets) will star as 19-year-old Eve, an American tourist targeted by the crazed serial killer, but who survives his attack and embarks on a mission of revenge. Nick Forward, Stan’s Content and Product Director, told TV Tonight, the success of the films means the adaptation will find an international audience. “That was one of the things that appealed to us: it’s an existing brand that has strong fan base in many parts of the world. This feels like a nice way to continue the story in a way that’s no exactly like the films. It’s kind of a different take, a different genre on the same world,” he said. “You can’t buy that landscape, so we will make the most of it,” he added. Currently based in Los Angeles, Lucy Fry (pictured, above) will also be seen the upcoming Stephen King film 11/22/63, the Australian feature Now Add Honey and the upcoming thriller 6 Miranda Drive -also directed by Greg McLean. The drama has also assembled a stellar Australian cast including Dustin Clare (Strike Back, Anzac Girls, Spartacus: War of the Damned), Deborah Mailman (Offspring, Redfern Now, The Sapphires), Miranda Tapsell (Love Child, Redfern Now, The Sapphires), Jessica Tovey (Wonderland, Dance Academy, Home & Away), Jake Ryan (Wentworth, Fat Tony & Co, Underbelly: Razor) and Richard Cawthorne (Catching Milat, Fat Tony & Co., Bikie Wars: Brothers in Arms). Peter Gawler and Felicity Packard are the writers on the series, and produced by Peter Gawler and Elisa Argenzio. Executive producers are Greg Haddrick and Greg McLean with Jo Rooney, Andy Ryan, Nick Forward and Rob Gibson. All 6 episodes will drop at once on Stan in mid-2016, ahead of international sales handled by Banijay International. This week Stan launches its first local commission, No Activity.